Yale Wire Rope Grips / Little Mule Grips are an ideal tool box accompaniment for the pulling and tensioning of wire rope and cabling. 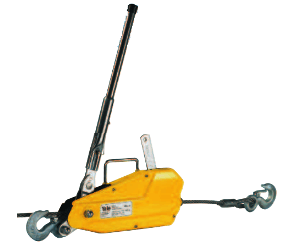 Yale wire rope grips are also called the ‘Little Mule grips’ due to the fact that it is an extremely robust and hard working piece of equipment that no workman’s tool box should be without. 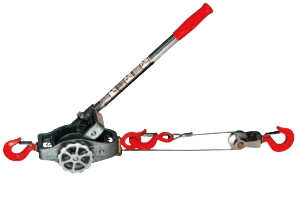 It is not like most other types of wire rope cable pullers in appearance or use. 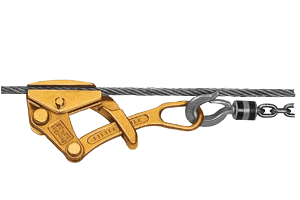 However the Yale cable grip is an excellent piece of equipment for pulling, tensioning or simply gripping any type of uncoated wire rope, with diameters up to 32mm. As well as pulling and tensioning wire rope it is also capable of handling metal rods and cables in most forms up to a tensile strength of 1770 N/mm², though this depends on the rope’s diameter and also the condition of its surface, i.e. grease free. 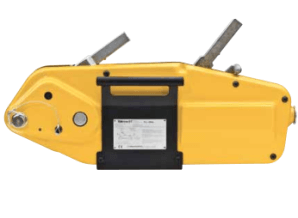 There is one special model – the 3000kg LMG II-X which can be used with wire ropes with a tensile strength up to 1960 N/mm², this is because it incorporates grooved jaws for better grip, though it will still be dependent on the condition and diameter of the rope. 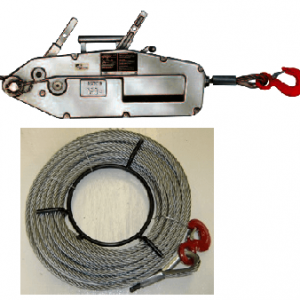 Yale wire rope grips enable a non-slip grip on the rope due to its parallel jaws, they are designed NOT to cause damage to the wire rope. There is a spring loaded guide present which will keep the little mule cable grip securely on the rope, it also enables quick releasing without the risk of jamming. It is the responsibility of the person using these cable grips to make sure they choose the correct model for the grade of wire rope it is to be used on. Please consult the specifications tab to determine the correct model for your rope.